Have a question for Handam Caravan Holiday House? When visiting Jeju Island, you'll feel right at home at Handam Caravan Holiday House, which offers quality accommodation and great service. Only away, this 2-star hotel can be easily accessed from the airport. With its convenient location, the hotel offers easy access to the city's must-see destinations. Offering hotel guests superior services and a broad range of amenities, Handam Caravan Holiday House is committed to ensuring that your stay is as comfortable as possible. The hotel offers access to a vast array of services, including luggage storage, car park, BBQ facilities, tours, concierge. All guest accommodations feature thoughtful amenities to ensure an unparalleled sense of comfort. Besides, the hotel's host of recreational offerings ensures you have plenty to do during your stay. 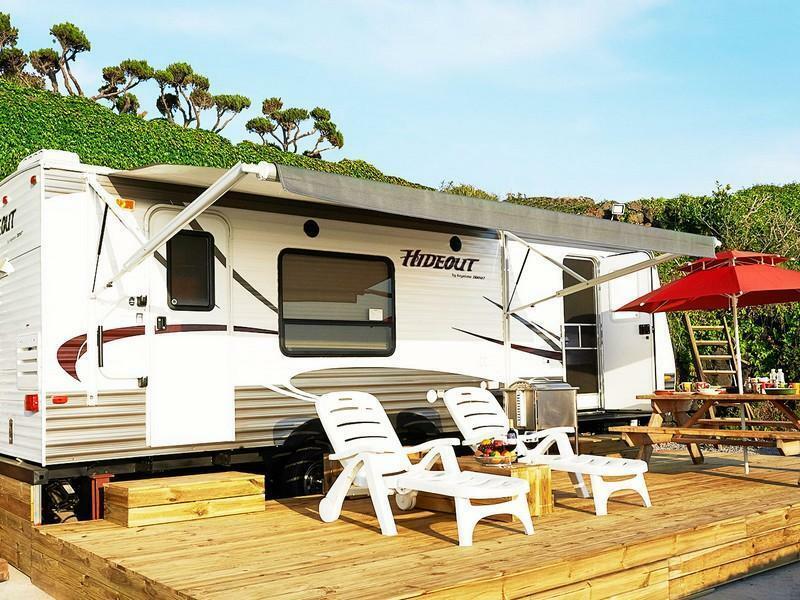 Whatever your reason for visiting Jeju Island, the Handam Caravan Holiday House is the perfect venue for an exhilarating and exciting break away. Althought its located in the remote area (30mins taxi from airport)，the pleasant environment gave us an impressive experience. We are highly satisfied with the unbeatable seaview and the decent condition of the caravans. Highly recommend for people who like camping and natural life. The caravan is just beside the beach, you can enjoy the views even inside the bus. The room is rather small with little spaces to walk around, but it's fully furnished with cooking utensil. There a few cafe and restaurant if you don't mind walking abit. Taking cab to Jeju City cost around USD14. If you sre there, do remember to try the seafood ramen store beside it. It was super tasty and was very famous cos we see alot of locals and tourist waiting outisde the restaurant, waiting time can be more than an hour during peak hours.